The Wheel of Fortune Power Wedges slot machine is currently gracing Las Vegas casino floors with its enhanced graphics, smooth lighting and immersive gameplay. Power Wedges is an enhanced, modern version of the classic Wheel of Fortune slot, with a generous base game, an exciting and highly recognizable bonus game, plus the additional chance to win one of five progressive jackpots, one of which is life-changing, the others are surely smile money. Unlike its twin brother Winning Wedges, the Power Wedges slot machine uses a more common base game theme, appealing to more players and those who do not like the stacked reels of the aforementioned slot. 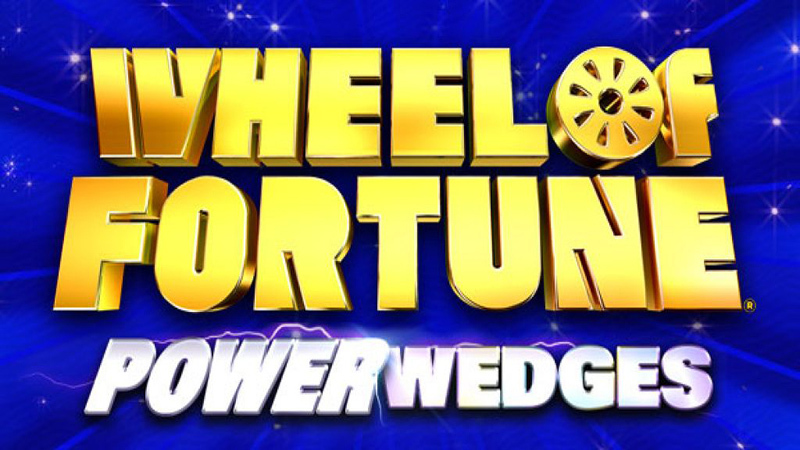 Wheel of Fortune Power Wedges combines fun reel spins with a free spins bonus, a regular top spin bonus game, plus the addition of a Pointer Frenzy feature and a Jackpot Wedges game for the chance of some big money spins, mostly available when played at 100 credits or more. Unlike many of its predecessors, Power Wedges is packed with features making it appealing to modern players, and those that enjoy online bonus rich slots. Free Spins: It’s rare for a Wheel of Fortune slot to award a free spins bonus, so this is a welcome change. Land two or more free spins bonus symbols anywhere in the center reels to be awarded the bonus, and like all good free spins slots, there are multiple opportunities to re-trigger the bonus, so the chances of large winnings are often assured. Three Wheel of Fortune bonus scatter symbols awards the familiar bonus game, with the action taking place on the over-sized top wheel. Aside from the credit values, the top bonus wheel has several additional bonus positions; Pointer Frenzy and Jackpot Bonus. There are three Frenzy positions and four Jackpot Bonus positions on the twenty-two positioned wheel, so visually the odds look pretty good. Pointer Frenzy: If the bonus wheel stops on the Frenzy position the Pointer Frenzy bonus is awarded. Similar to the Winning Spins version of the bonus game, you may be awarded up to six wedges for some super winnings. Jackpot Wedges: Land on the Jackpot Bonus position on the wheel to be awarded this generous feature. Taking place on the lower screen, the Jackpot Wedges bonus increases your odds the larger your bet, with all odds and bet values displayed. Just like the main game, the bonus wheel will rotate and land on a final position, the value of which is defined by its color. Each color corresponds to a progressive jackpot value, the lowest of which (and therefore the most common) is blue, followed by purple, green, silver and gold. If you land on the gold position you will surely be dancing around the casino floor as the jackpot is often in excess of $500,000. 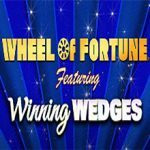 Wheel of Fortune Power Wedges can be found in most large casinos across America. The progressive jackpot may not be available in all jurisdictions due to government regulations.